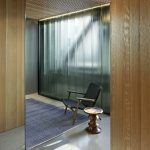 FIS Holdings challenged designers Building Arts Architects to design an office environment which did not feel like an “office.” The use of natural materials was a fundamental concept which provided the foundation for the design of the project and the selection of the materials. 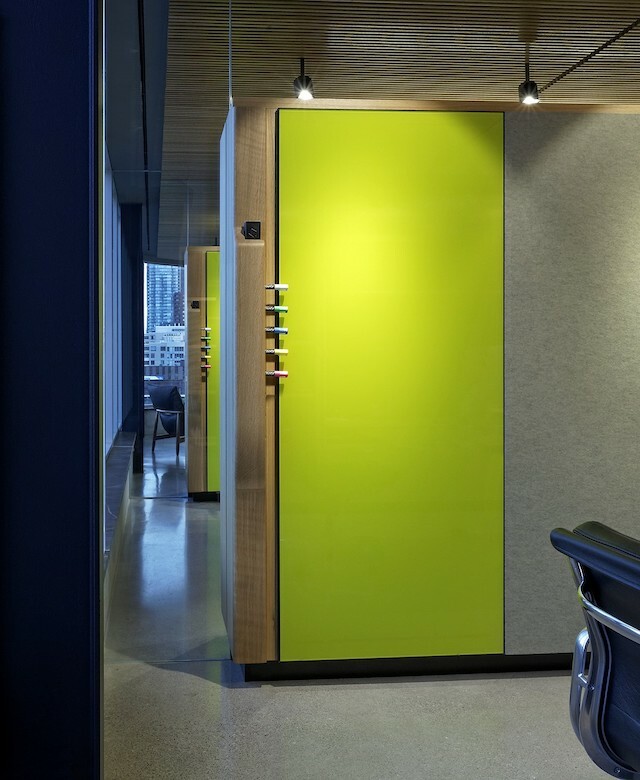 Large free standing storage walls organize the space and are straddled by operable custom steel and bronze frame glass partitions. 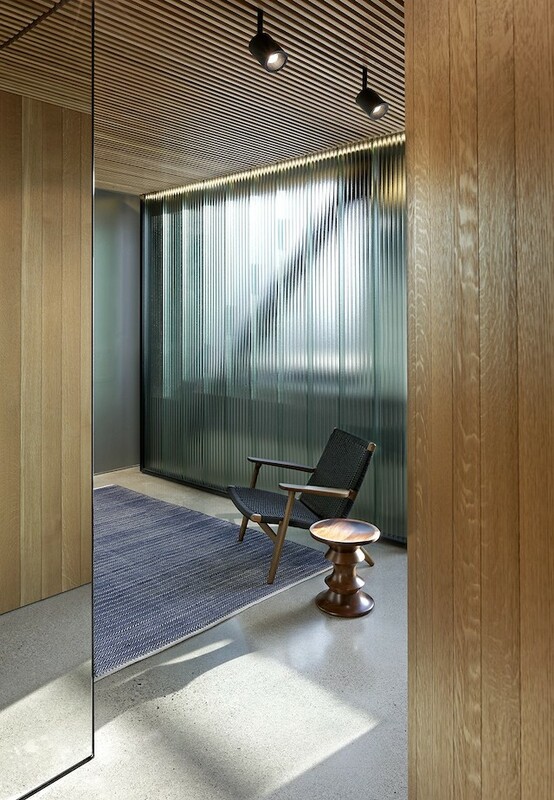 An open grille hardwood ceiling stretches across the offices and meeting rooms to provide visual continuity, texture and an opportunity to experience the entire volume as a singular space. 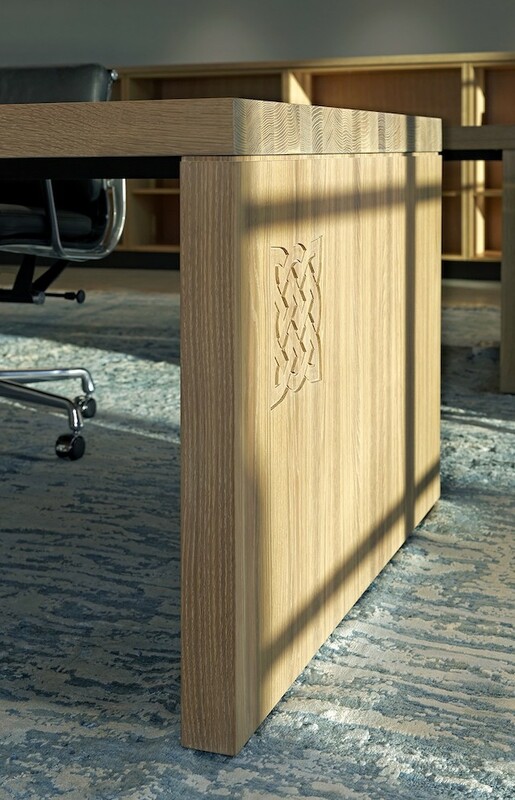 Natural hardwood was used for millwork, wall finishes, and custom furnishings which enabled cutting/carving to expose all grains of the material which connects the user to the fact that the material is solid and the craft of its creation. 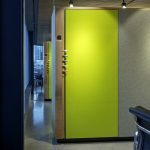 A variety of textures and finishes were employed to also highlight the natural quality of the material and provide a tactile experience for the user. 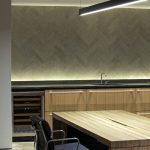 The experience of the space and the use of wood and stone was highlighted by carefully considered lighting design and adjacency to natural light. Taken together, the design gestures and material selections create a workspace that suggests the comforts and intimacy of home. 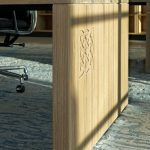 The designers believe the subtle use of natural materials and custom design furniture/millwork has created a warm unique space which artfully fulfilled its design ambition: to design an office for FIS Holdings which does not look or feel like a traditional office. 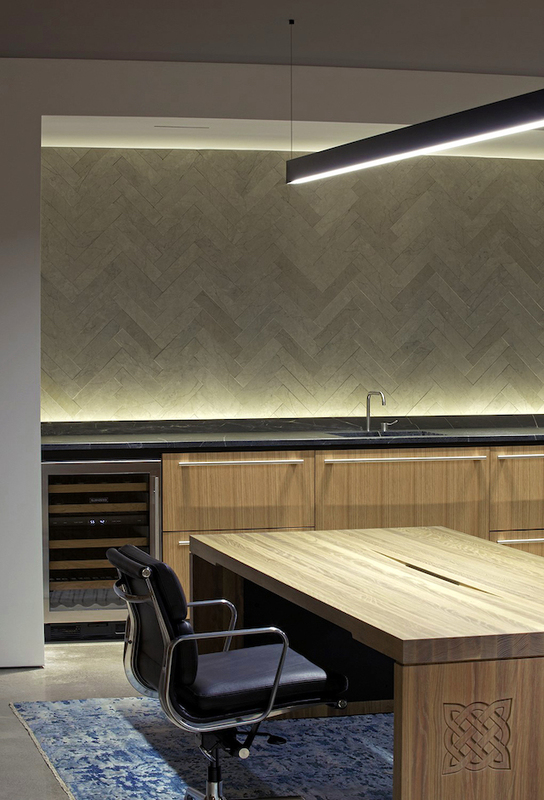 The Toronto-based Building Arts Architects was founded in 2006 with the ambition of integrating the art and craft of building into the process of design and the practice of architecture.